There are plenty of ways to thrilling ways to spend $4,000. Buy 4,000 lottery scratchers. Hit up a few Lakers games in the lower bowl. Take a European vacation to Amsterdam. 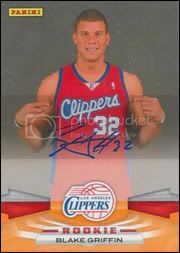 Buy a few top notch Blake Griffin autographs. Yessir, these two cards recently sold for $4,000 combined. My goodness! 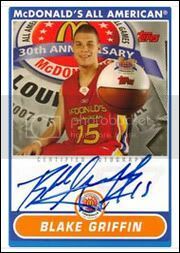 2010 NBA season is forever going to be remembererd as Blake-MANIA.